If you did not report your offshore accounts, crypto currency income or cannabis income earned before 2018, you should hold off on filing your 2018 taxes and instead file an extension. An extension is your way of asking the IRS for additional time to file your tax return. The IRS will automatically grant you an additional six months to file your return. While State Tax Agencies will also provide the same extension period, you need to check with your State to see if an extension must be filed with the State as well. California does not require that a State extension be filed as long as you timely file the Federal extension AND you will not owe any money to the State. The deadline to file your 2018 individual income tax returns or request an extension of time to file the tax return is Monday, April 15, 2019 (although this year taxpayers in Maine and Massachusetts have until April 17th given legal holidays followed in those States). A timely filed extension will extend the filing deadline to Tuesday, October 15, 2019 thus giving you an extra six months to meet with tax counsel and determine how to address your pre-2018 tax reporting delinquencies and how to present your situation on your 2018 tax return. While an extension gives you extra time to file your return, an extension does not give you extra time to pay your tax and if you do not pay what you owe with the extension, you will still be ultimately charged with late payment penalties when you file your tax return. The IRS announced on March 13, 2018 that it will begin to ramp down the 2014 Offshore Voluntary Disclosure Program (“OVDP”) and close the program on September 28, 2018. OVDP enabled U.S. taxpayers to voluntarily resolve past non-compliance related to unreported foreign financial assets and failure to file foreign information returns. Where a taxpayer does not come forward into OVDP and has now been targeted by IRS for failing to file the Foreign Bank Account Reports (FBAR), the IRS may now assert FBAR penalties that could be either non-willful or willful. Both types have varying upper limits, but no floor. The first type is the non-willful FBAR penalty. The maximum non-willful FBAR penalty is $10,000. The second type is the willful FBAR penalty. The maximum willful FBAR penalty is the greater of (a) $100,000 or (b) 50% of the total balance of the foreign account. In addition the IRS can pursue criminal charges with the willful FBAR penalty. The law defines that any person who willfully attempts in any manner to evade or defeat any tax under the Internal Revenue Code or the payment thereof is, in addition to other penalties provided by law, guilty of a felony and, upon conviction thereof, can be fined not more than $100,000 ($500,000 in the case of a corporation), or imprisoned not more than five years, or both, together with the costs of prosecution (Code Sec. 7201). For the non-willful penalty, all the IRS has to show is that an FBAR was not filed. Whether the taxpayer knew or did not know about the filing of this form is irrelevant. The non-willful FBAR penalty is $10,000 per account, per year and so a taxpayer with multiple accounts over multiple years can end up with a huge penalty. Since 2009, the IRS Criminal Investigation has indicted 1,545 taxpayers on criminal violations related to international activities, of which 671 taxpayers were indicted on international criminal tax violations. Many taxpayers think that their crypto transactions would remain a secret forever. Digital exchanges are not broker-regulated by the IRS. Digital exchanges are not obligated to issue a 1099 form, nor are they obligated to report to the IRS calculate gains or cost basis for the trader. But that is now all changing sooner than you think! As of March 16, 2018, the IRS has received information from Coinbase located in San Francisco which is the largest cryptocurrency exchange in the United States disclosing the names, addresses and tax identification numbers on 14,355 account holders. Coinbase pursuant to a Court Order issued by a Federal Magistrate Judge (United States v. Coinbase, Inc., United States District Court, Northern District Of California, Case No.17-cv-01431) had to produce the following customer information over the period of 2013 to 2015: (1) taxpayer ID number, (2) name, (3) birth date, (4) address, (5) records of account activity, including transaction logs or other records identifying the date, amount, and type of transaction (purchase/sale/exchange), the post transaction balance, and the names of counterparties to the transaction, and (6) all periodic statements of account or invoices (or the equivalent). Furthermore, Coinbase starting with the 2017 tax years will be issuing 1099-K tax forms for some of its U.S. clients. The IRS will receive copies of these forms. 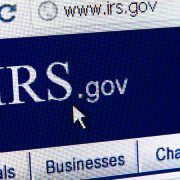 With only several hundred people reporting their crypto gains each year, the IRS suspects that many crypto users have been evading taxes by not reporting crypto transactions on their tax returns. With the proliferation of licensed cannabis businesses sprouting in the State Of California in 2018, a lot of cannabis business will be filing tax returns with the IRS starting this year. But beware, the IRS is well aware that successful cannabis businesses don’t just sprout overnight and now that your business is on the radar screen you can bet that the IRS will be inquiring how you accumulated all that cash before 2018. Cannabis is categorized as a Schedule I substance under the Controlled Substances Act. While more than half of the states in the U.S. have legalized some form of medicinal marijuana, and several others have passed laws permitting recreational cannabis use, under federal drug laws the sale of cannabis remains illegal. Despite the disparity and Federal and State law, marijuana businesses still have to pay taxes. A cannabis business that has not properly reported its income and expenses and not engaged in the planning to minimize income taxes can face a large liability proposed by IRS reflected on a Notice Of Deficiency or tax bill. Likewise, where a taxpayer over the years has accumulated cash from cannabis sales and never reported any income to the IRS, you are looking at a serious problem. Failure to report all the money you make is a main reason folks end up facing an IRS auditor. Carelessness on your tax return might get you whacked with a 20% penalty. But that’s nothing compared to the 75% civil penalty for willful tax fraud and possibly facing criminal charges of tax evasion that if convicted could land you in jail. Criminal Fraud – The law defines that any person who willfully attempts in any manner to evade or defeat any tax under the Internal Revenue Code or the payment thereof is, in addition to other penalties provided by law, guilty of a felony and, upon conviction thereof, can be fined not more than $100,000 ($500,000 in the case of a corporation), or imprisoned not more than five years, or both, together with the costs of prosecution (Code Sec. 7201). The term “willfully” has been interpreted to require a specific intent to violate the law (U.S. v. Pomponio, 429 U.S. 10 (1976)). The term “willfulness” is defined as the voluntary, intentional violation of a known legal duty (Cheek v. U.S., 498 U.S. 192 (1991)). And even if the IRS is not looking to put you in jail, they will be looking to hit you with a big tax bill with hefty penalties. Civil Fraud – Normally the IRS will impose a negligence penalty of 20% of the underpayment of tax (Code Sec. 6662(b)(1) and 6662(b)(2)) but violations of the Internal Revenue Code with the intent to evade income taxes may result in a civil fraud penalty. In lieu of the 20% negligence penalty, the civil fraud penalty is 75% of the underpayment of tax (Code Sec. 6663). The imposition of the Civil Fraud Penalty essentially doubles your liability to the IRS! Individual taxpayers can file an extension using Form 4868. Extensions can also be filed online, which has the benefit that you’ll receive a confirmation code from the IRS notifying you that your extension was received. Then you should promptly contact tax counsel. Don’t delay because once the IRS has targeted you for investigation – even if its is a routine random audit – it will be too late voluntarily come forward. Let the tax attorneys at the Law Offices Of Jeffrey B. Kahn, P.C. located in Orange County (Irvine), San Francisco Bay Area (including San Jose and Walnut Creek) and offices elsewhere in California get you set up with a plan that may include being qualified into a voluntary disclosure program to avoid criminal prosecution, seek abatement of penalties, and minimize your tax liability. If you are involved in cannabis, check out what else a cannabis tax attorney can do for you. Under Federal law (Controlled Substances Act 21 U.S.C. 801) marijuana is designated as a Schedule I controlled substance due to the historical belief that it has a high potential for abuse, no currently accepted medical use in treatment, and lack of accepted safety for use under medical supervision. This status has prompted banks to prevent and block banking access to legal cannabis businesses. The Secure And Fair Enforcement Banking Act (the “SAFE Banking Act”) was introduced just less than two weeks ago by Representatives Ed Perlmutter (D-CO), Denny Heck (D-WA), Steve Stivers (R-OH) and Warren Davidson (R-OH). The SAFE Banking Act would prevent federal banking regulators from punishing banks for working with cannabis related businesses that are obeying state laws or halting their services, taking action on loans made to those businesses, or limiting a depository institution’s access to the Deposit Insurance Fund. 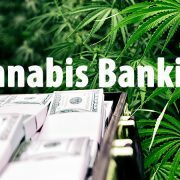 The SAFE Banking Act would also protect ancillary businesses that work with the cannabis industry from being charged with money laundering and other financial crimes, and requires the Financial Institution Examination Council to develop guidance to help credit unions and banks understand how to lawfully serve cannabis businesses. On March 28, 2019, the House Financial Services Committee approved an updated version of the SAFE Banking Act, which would provide safe harbor and guidance to financial institutions that wish to work with legal cannabis businesses. The vote was 45-15 in support of cannabis banking which supporters included 11 Republicans. Now, the legislation will go back to the House for further consideration and should be approved for a full floor vote. It will then move on to the Senate for consideration. Stay tuned for further developments. While this development is favorable for cannabis business, the enactment of the SAFE Banking Act into law will not solve all the problems and challenges of legal cannabis businesses. It still remains to be seen when favorable changes will be made to the Internal Revenue Code which treats businesses in the marijuana industry differently resulting in such business paying at least 3-times as much in taxes as ordinary businesses. Given that cannabis is still illegal under existing Federal law and the enactment of the SAFE Banking Act will not solve all your problems you need to protect yourself and your marijuana business from all challenges created by the U.S. government. While cannabis is legal in California, that is not enough to protect you. It’s coming down that the biggest risk is TAXES. Be proactive and engage an experienced Cannabis Tax Attorney in your area. Let the tax attorneys of the Law Offices Of Jeffrey B. Kahn, P.C. located in Orange County, Inland Empire (Ontario and Palm Springs) and other California locations protect you and maximize your net profits. How Do Marijuana Businesses Substantiate To IRS Expenses Paid In Cash? It is outrageous that the $6.7 billion U.S. cannabis industry is forced by disparities in state and federal law to conduct nearly all transactions in cash. Experts believe that by 2021 the cannabis industry is expected to balloon to $21 billion. The lack of banking opportunities for marijuana business and being forced to deal in cash creates challenges for these business to not only manage the cash but how to substantiate expenses paid in the event the business is select for audit by the IRS. Yes – Marijuana Businesses Have to Report Income To IRS And Pay Taxes! Legal marijuana businesses have to pay taxes under I.R.C. §280E, the same category reserved for illegal drug traffickers. Cannabis is categorized as a Schedule I substance under the Controlled Substances Act. While more than half of the states in the U.S. have legalized some form of medicinal marijuana, and several others have passed laws permitting recreational cannabis use, under federal drug laws the sale of cannabis remains illegal. In any typical business, purchases, sales, payroll, and other transactions will generate supporting documents. Supporting documents include sales slips, paid bills, invoices, receipts, deposit slips, and canceled checks. These documents contain the information you need to record in your books. It is important to keep these documents because they support the entries in your books and on your tax return. Keeping them in an orderly fashion and in a safe place will assure that if the time should come that you are selected for an IRS audit, you will be able to produce them and preserve the deductions claims. First, you must substantiate that you actually paid the expense you are claiming. Second, you must prove that an expense is actually tax deductible. So what do you do when your marijuana business operates in a cash environment without using any bank accounts? For example, if you claim a $5,000.00purchase expense from a marijuana distributor, offering a copy of a bill or an invoice from the distributor (if one is even provided) is not enough. It only proves that you owe the money, not that you actually made good on paying the bill. The IRS accepts canceled checks, bank statements and credit card statements as proof of payment. But when such bills are paid in cash as it typical in a marijuana business, you would not have any of these supporting documents but the IRS may accept the equivalent in electronic form. That is where it becomes essential that an accounting system be developedearly on to track these transactions. In reading I.R.C. §280E one would think that no deductions are allowed in a marijuana-related business but if that were the case, the U.S. Tax Court has stated that this statute would have been stricken as unconstitutional as the Sixteenth Amendment to the U.S. Constitution prohibits the Federal government from taxing “gross receipts”. Reading vs. Commissioner Of Internal Revenue, 70 T.C. 730 (1978). So the way I.R.C. §280E operates is to allow marijuana-related businesses to deduct Costs Of Good Sold but not “ordinary and necessary” business expenses. This tax treatment prevails regardless that you are conducting a marijuana business that is duly licensed in a State that has legalized marijuana because such business is still illegal under federal law. It should be apparent that the cost of acquiring the marijuana itself is part of Costs Of Good Sold but what if you produce the marijuana? We advocate that producers can also capitalize the direct material costs (marijuana seeds or plants), direct labor costs (planting, cultivating, harvesting and sorting), and certain indirect costs that include repairs, maintenance, utilities, rent, taxes, depreciation, employee benefits and officer’s salaries). Resellers too should consider a more expansive view of Cost Of Goods Sold that includes capitalizing the costs of transportation and other necessary charges incurred in acquiring possession of the marijuana and maintaining the inventory for resale. That is why it becomes essential that a proper accounting system be developed to capitalize as much of your expenses into inventory in a manner acceptable by the IRS. This same lack of access to a traditional banking infrastructure making it difficult for cannabis companies to establish exactly the kind of fiscal paper trail that the IRS and state tax agencies could use to help enforce tax compliance also creates a problem as to how to pay the taxes due to IRS and state tax agencies. 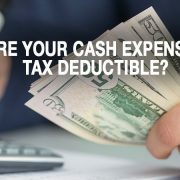 Keep in mind that this problem is just not a once a year event, it goes on all year – you have to remit your payroll taxes quarterly, your excise taxes are collected monthly. With all the cash to keep track of, the record keeping involved and the security of string and transporting funds, it is crucial that a proper cash management and accounting system be established and maintained. Don’t wait to be selected for an IRS audit. Be proactive and implement the proper cash management and accounting systems now. Marijuana businesses who hire an experienced attorney-CPA should benefit in paying the least amount of tax under the tax code and if audited, the least audit adjustments and avoiding costly litigation. Let the tax attorneys of the Law Offices Of Jeffrey B. Kahn, P.C. located in Orange County, San Jose and other California locations maximize your net profits and get you the best possible result.